I am a little behind on my reading this month.The woes of falling behind. I managed to find a little time last night to read a couple of periodicals and found the January edition of Scientific American to be very interesting. Over the past while I have become fixated on the mind, particularly the anatomy, mapping and mental illnesses of the brain. Mental disorders are brain disorders. Most often they are related to changes in the anatomy, physiology, and chemistry of the body. When the brain cannot effectively coordinate the billions of cells and systems in the body, the careful natural balance is upset. Lifestyle is one of the most significant factors in determining mental health. If you neglect your physical health the brain is impacted. We a need a good night's sleep, proper nutrition and exercise to stay physically and mentally fit. I have found incorporating breathing mediation to be incredibly calming. 10-20 minutes daily increases my focus, makes me feel rested and provides fantastic inward reflection. 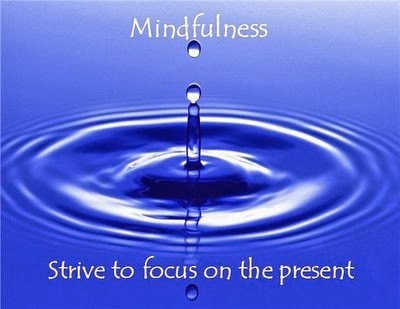 I have learned to clear my very busy mind, to become mindful, relaxed and more focused. The impact and benefits of breathing mediation deserves much more than a mention, so I will do a full post on it at another time. 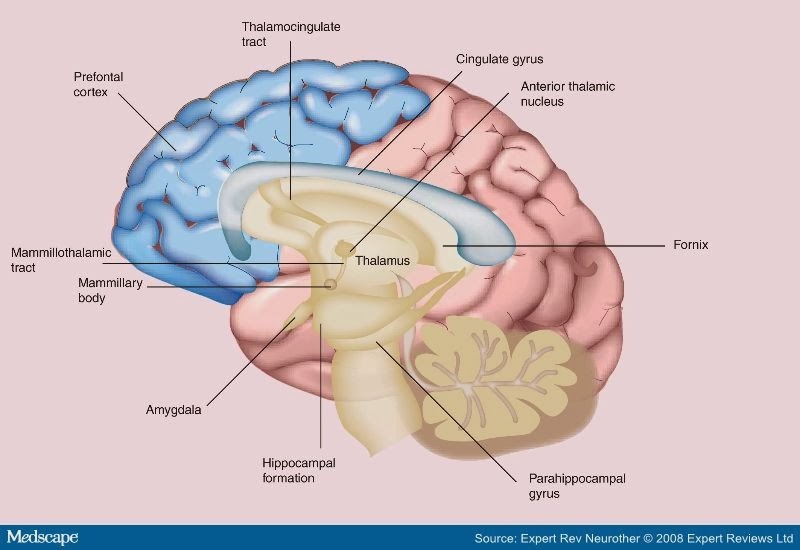 It contains about 100 billion nerve cells (neurons), the "gray matter"
It contains millions of nerve fibers (axons and dendrites), the "white matter"
Emotion ultimately motivates everything. They just bubble to the surface and for me at least they can be overwhelming, almost disabling. Learning to control them before they control me and impact my relationships and personal interactions has been a rewarding journey. A journey that continues every day. That is the conscious part of it. The role of the unconscious mind on my personality, on my decisions and my coping mechanisms is profound. How big a role the unconscious plays in our day-to-day life is the topic of a great deal of research going back as far as the ancient Egyptians to Frued, Jung and more recently B.F. Skinner and Carl Rogers. Our unconscious is the significant factor in understanding our behavior. 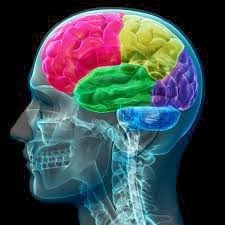 Modern science - Cognitive neuroscience in particular, has allowed humans to map the mind and study the neural basis providing insight into what part of the brain does what. The ability to image the brain, learning when, where and how it's regions work has bridged the gap between the behavioral sciences and the biology. It truly is fascinating stuff. 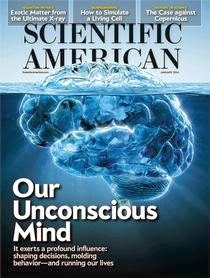 If you share an interest in how the brain functions, you might enjoy the January edition of Scientific American.